STEF is the European specialist in cold logistics (-25°C to +18°C). It manages all transport, logistics and information systems specialising in food products, raw materials and processed products. STEF has multi-service logistics solutions adapted to the specific features of its customers in Industry (SMEs, large companies), distribution (large areas, wholesalers) and restaurants (restaurant chains, catering). STEF has 16,000 employees in 7 European countries: Belgium, Spain, France, Italy, Holland, Portugal and Switzerland. 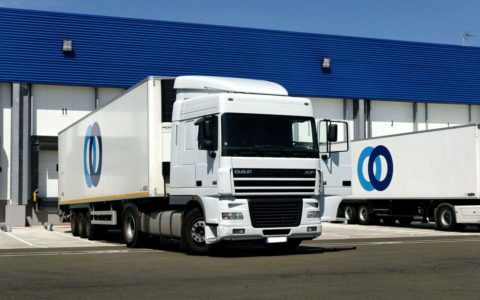 In addition, it relies on specific technical resources: 216 platforms and warehouses, 1,980 vehicles (traction and transport) and 2,060 refrigerated trailers. High energy consumption in the cooling system due to the loss of capacity of evaporators after ice forms. Need for frequent defrosting and manual cleaning. Unstable temperature control in the chamber. Slippery floors (poor hygiene, accidents). Wet packaging in poor condition (loss of quality). Faults detected by photoelectric sensors (increased maintenance). Fisair has collaborated with STEF in different European facilities by supplying the DFRIGO units. This series has a state-of-the-art design which dries the air at those temperatures without frost or condensation problems; it is the market leader for energy efficiency and has an integral control system capable of communicating with networks external to the facilities.